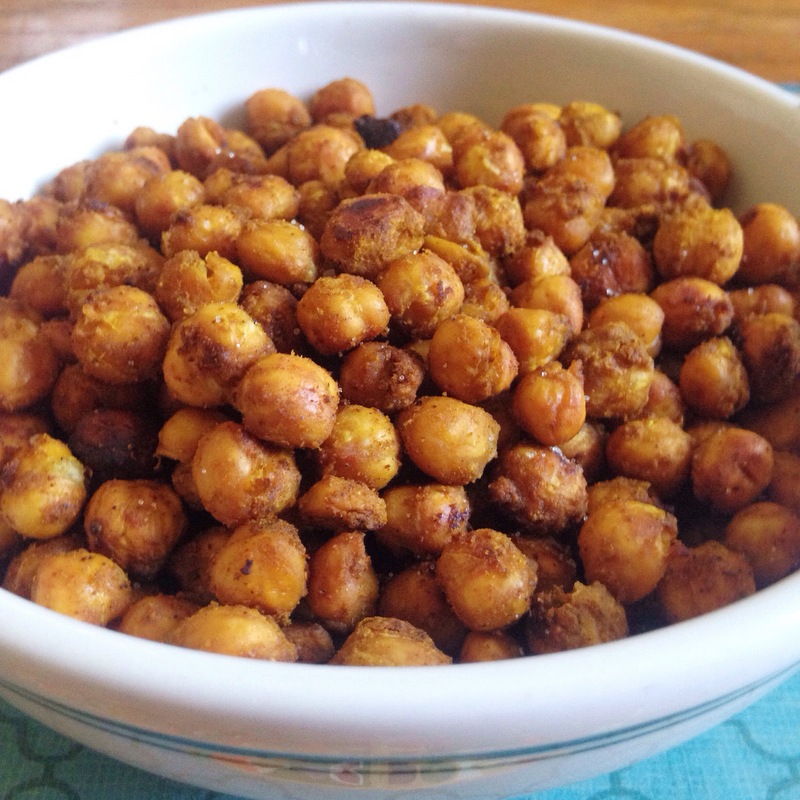 I did say I was going to be back with other roasted bean recipes, since I really like them for a salty snack fix and they are so quick and easy. And quick and easy is the theme of the week, because I have been moving house (hence the absence from blogging! No kitchen!) which means I’ve been running around like a sleep-deprived headless chicken. I also was trying to clean out my pantry so I didn’t have to cart too much stuff from my old house to the new, AND plus moving is expensive so I’m extra poor and didn’t want to buy a lot of stuff. So here we are. These were good as a snack by themselves, but they were damn GOOD topping a salad with some hummus and cashew nuts. I had a 3 day obsession with that. Anyway, I now have a kitchen again so I’ll be back with more food adventures soon! 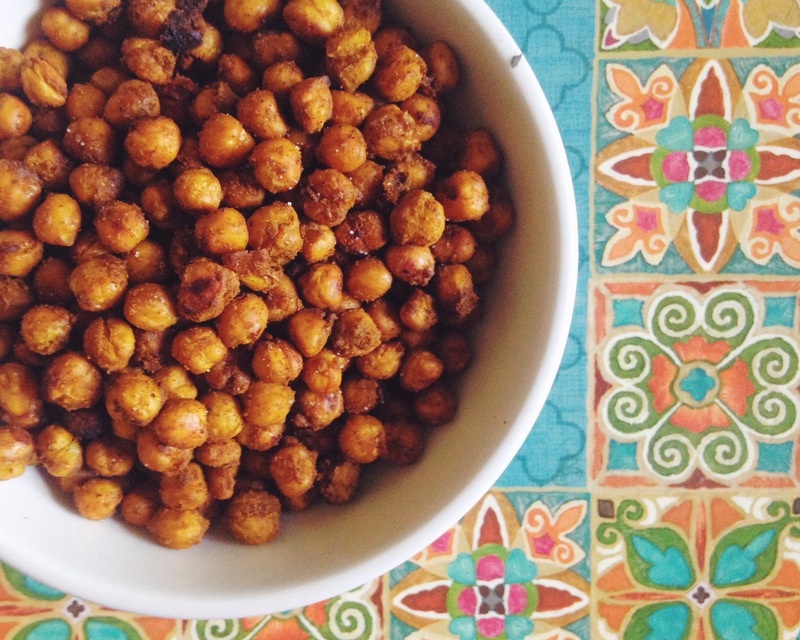 This is pretty much the same as last time – rinse the chickpeas well and pour into a medium mixing bowl. Add the curry powder, cumin and sugar. Mince in a garlic clove and drizzle with a tablespoon or two of oil. Mix it all really well. It will kind of form a paste at the bottom of the bowl, so make sure you get all that stuff up and mixed in. Transfer to a baking tray in a single layer. Bake for about 20 minutes until crispy, stirring them around half way through.